10 Gorgeous Bohemian Style Bedding Sets! My Favorite Bohemian Bedding Sets for a Colorful Happy Fun Bedroom! 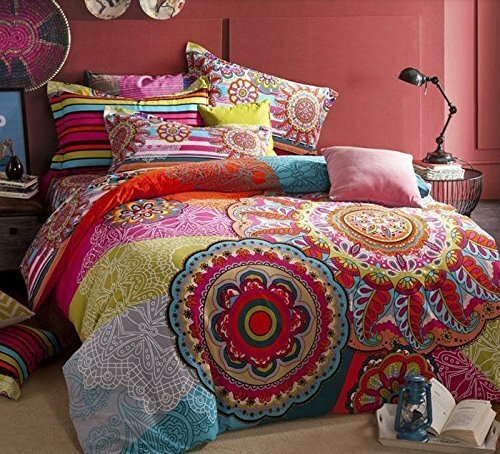 *This is a gorgeous 7-piece Bohemian bedding set available in 7 cool color patterns, made of 100% cotton! What an explosion of fun colors! As you can see from the picture, Boho style bedding is all about colors, cool patterns, fun atmosphere, freedom of expression, elegance and happiness all in one! Just pick one that will match your bedroom colors and your personality better! 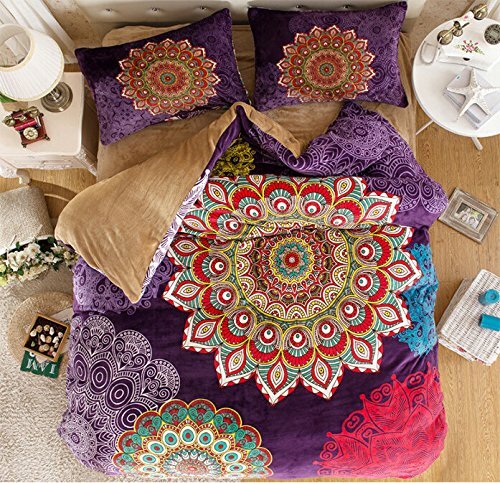 Beautiful 4-piece Bohemian Style Full Size Duvet Cover Bedding Sets! If you are looking for the coolest full size Bohemian bedding sets for sale online that are also affordable, check these ones out! You can choose among 8 gorgeous colorful Bohemian style duvet cover sets that come with the duvet cover, one flat sheet and two pillow cases! 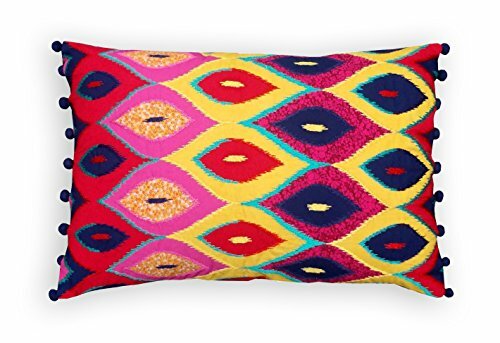 They are all very unique and their colors will immediately brighten up your bedroom! This is a stunning and very fancy 100% mulberry silk queen size 5-piece Bohemian style bedding set for sale! *On the instructions it says to hand-wash only with a professional silk detergent. Fun and Cozy Boho Style Bedding Sets! What a cute queen size Bohemian style bedding set for sale! It also comes with the filler, so you can make it nice and fluffy, just like in the picture! Love the cute matching Boho pillow cases too! This is a very cute and fun 4-piece red Bohemian style bedding set for sale that is perfect for a teenage girl’s bedroom, isn’t it? It comes with one flat sheet and two pillow shams, besides the gorgeous duvet cover! LOVE the floral pattern and color combination! *You can choose the complete 7-piece set, that comes with the duvet cover, flat sheet, comforter filler, two pillow cases and two decorative pillows or a 5-piece option (without the decorative pillows) or a 4-piece option (without the deco pillows and the filler) which will be more affordable. Very Cool Bohemian Style Sateen Egyptian Cotton Bedding Set! 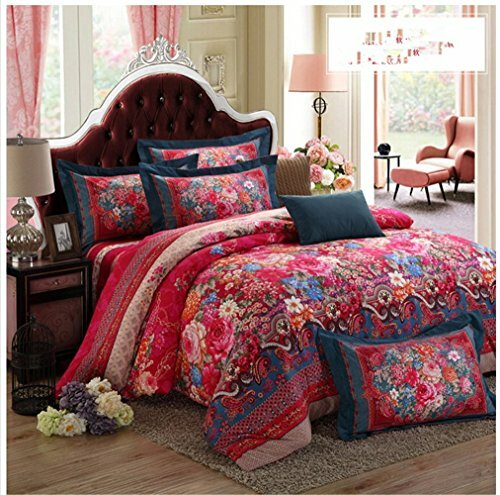 Another cool and definitely unique Bohemian style 4-piece bedding set in red and blue! It’s available either in queen or full size. Make sure you pick the right size for you. It also comes with one flat sheet and two gorgeous pillow cases as well! Fun Boho Style Duvet Cover Set! It is made from 100% cotton, so it is very soft and very cozy! 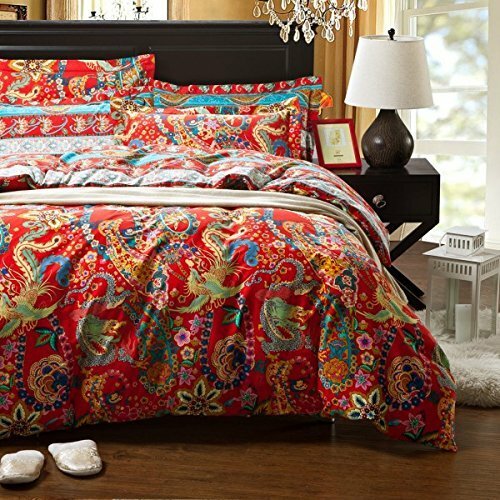 Very Colorful Bohemian Style Bedding Set! 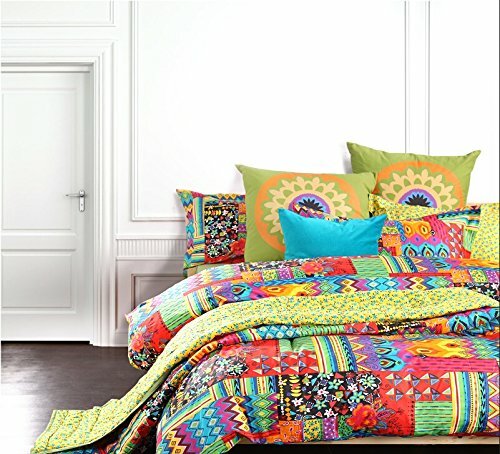 This is one of the most colorful Boho style bedding sets around isn’t it? This fun set is available in full or queen sizes and it comes with two pillow cases, one flat sheet and the duvet cover. Stunning Bohemian Style Peacock Print Bedding Set! I really like to save the best for last! 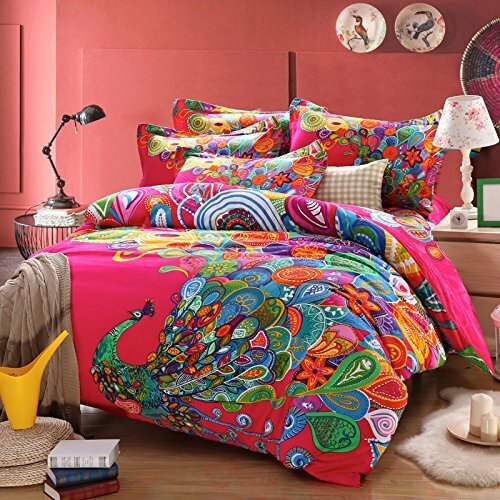 A magnificent colorful Bohemian style peacock print pink bedding set for sale! How absolutely stunning is it? You can choose it in king size or queen size. Like I said before, you can always buy more colorful Bohemian style pillow cases and add them later to your bed, little by little! It’s such a fun thing to do! Fun Tie Dye Bedding Sets! Do you have anything in king size? Hi Beverly, thanks for visiting! So far I have only seen full and queen, but I will start looking for king sized ones and see what I can find… I’ll be updating the page soon… thank you!